This is the final week of our theme "Majestic Mountains". You have just six days left to get your fabulous mountain scenes linked below. I have another wonderful email entry for you from Dawn Rogers. Greetings from Yorkshire, England! I was trying out a direct-to-paper technique, as demonstrated in a Michelle Zindorf tutorial. I didn't have the right inks, but I made do with what was to hand - some cheap pigment ink pads that I used for the direct-to-paper technique to make the sky and the lake. I then sponged in the foreground and the mountains, using torn paper for a mask (turning it upside down to make the reflection of the mountains). The three stamps are all from Lavinia Stamps (http://laviniastamps.com/ ) - I love her silhouette stamps, it's so easy to create an interesting scene with them. Don't forget that Dora has a free digi of her super majestic mountains available on her blog. 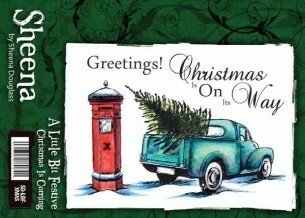 We have a great stamp set from Sheena Douglas supplied by the design team as our prize this month for the random winner. Here is the link to the challenge post. Don't forget to add GDT to your link if you wish to be considered for a guest spot. 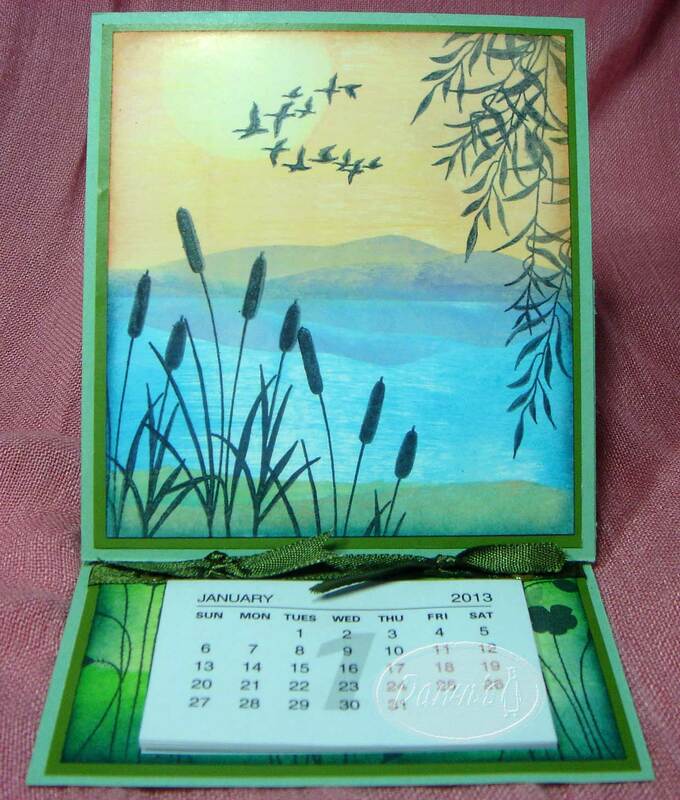 Dawn your design is just gorgeous and love the idea of making a desk calendar. this is a beautiful project with the calender. your colours and combine the stamps are amzing. I find the cattails in the front??? (I don't know how it called, sorry) so great. 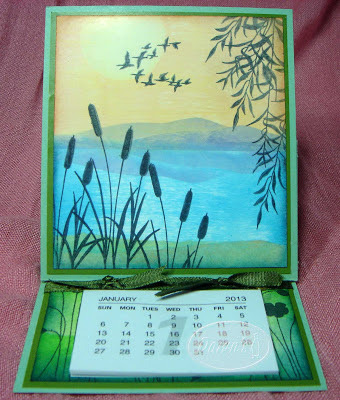 Beautiful inspiration as always :) I love Dawn's calender creation! - and thanks, too, to the Design Team (and entrants) for posting up some wonderful inspiration! I really enjoy taking part in this challenge, but I don't have a blog so I'm pleased that Nancy is happy to accept email entries. Dora - the "cattails" is a Lavinia Stamp - "bullrushes"
thank you, Dawn for the answer about the 'bullrushes'!